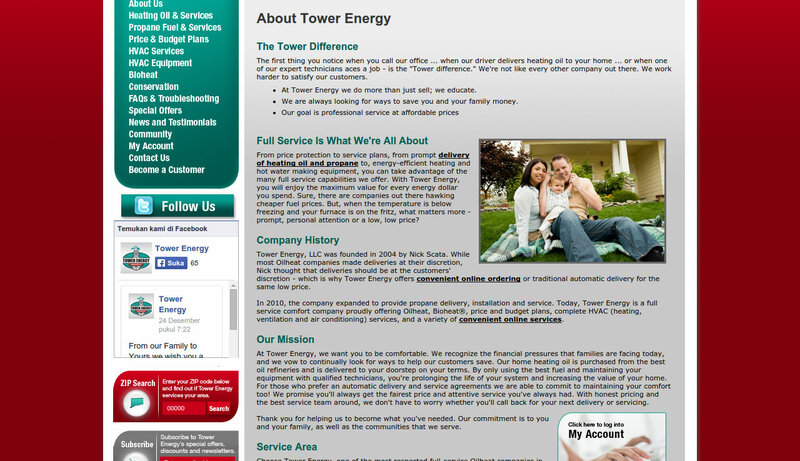 Tower Energy, LLC was founded in 2004. 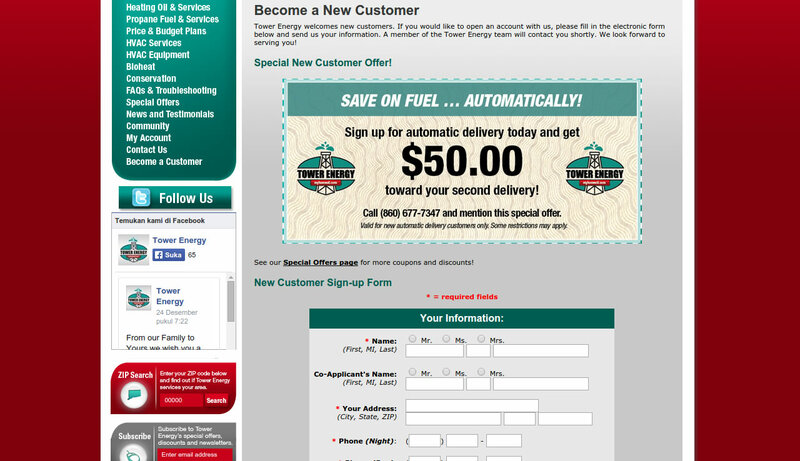 While most Oilheat companies made deliveries at their discretion, Tower Energy thought that deliveries should be at the customers’ discretion – which is why Tower Energy offers convenient online ordering or traditional automatic delivery for the same low price. 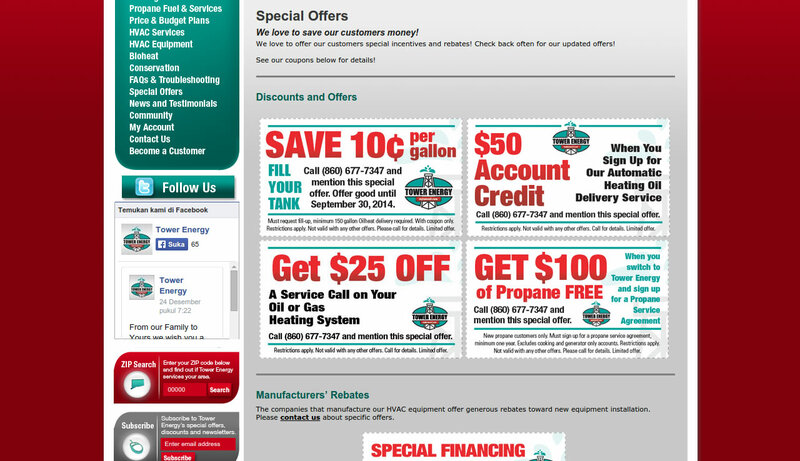 In 2010, the company expanded to provide propane delivery, installation and service. 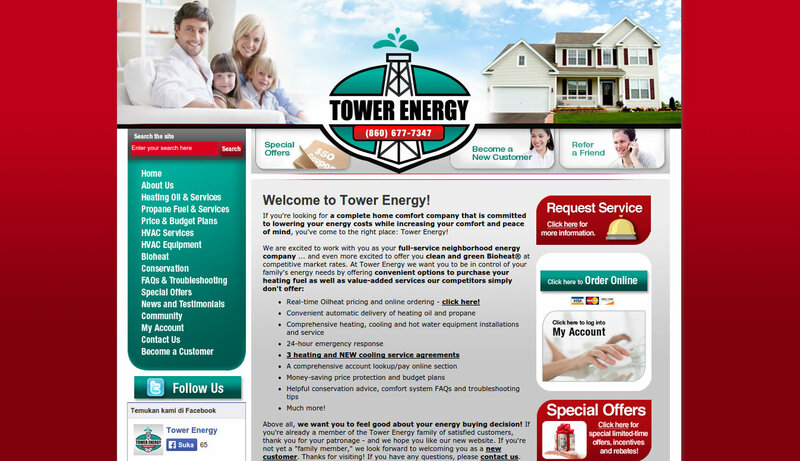 Today, Tower Energy is a full service comfort company proudly offering Oilheat, Bioheat®, price and budget plans, complete HVAC (heating, ventilation and air conditioning) services, and a variety of convenient online services.